For as long as we can use cash, this “old school” form of investing will remain viable. It is the same as investing in any asset really, but a lot more direct. Instead of buying Real Estate, why not buy US Dollars? Instead of buying Stocks, why not buy Euros? Instead of buying Mutual Funds, why not buy a blend of different foreign currencies like Australian Dollars, Japanese Yen or Canadian Dollars? — The Physical kind, you know, Paper bills that you can purchase stuff with. Where and How Do I Purchase Physical Foreign Currencies? Physical Foreign currencies can be purchased through your Bank or a Bangko Sentral ng Pilipinas (BSP) Accredited and Licensed Money Changer. Normally, they require 2 Government issued ID’s and travel documents. However, if you are not travelling, you can ask them to help you in finding another acceptable purpose for purchasing the Foreign currency. Tip#3: It helps a lot if you have a good standing relationship with the bank or the Money changer, otherwise they may not be as flexible in fulfilling your request. Tip#4: Canvass and shop around for the best prices available, so, be patient, a 1 to 2 cent difference in price can have a big difference in how much you profit or lose from the transaction. In this example, I’m choosing to buy (invest) in the US Dollar. Next, what currency are you going to buy the USD with? Now, the assumption is, if you live in the Philippines, you will use Philippine Pesos (PHP) to purchase USD. (If you live in another country let’s say Japan, you will probably use Japanese Yen to purchase USD). Now you don’t have to live in that country, you can really just pick any other currency you want to purchase the USD with. So the first step is to pick 2 currencies. Because if you don’t it will be harder to track if your Foreign currency investment is making or losing money over time. (I’ll talk about how to track it in Step 2 below). For this example, the proper format of Currency pairing will be USD/PHP. Now if you choose a different currency pair, say USD/JPY what am I saying? I’m planning to purchase USD with Japanese Yen or JPY Get it? Track your Investment: Record the volume and purchase price of the Foreign currency when you bought it. When you invest in foreign currencies, like any other asset you need to know your starting price and track the performance of your investment. This way, you will know if you are making money or losing money over time. Notice that I added another column called P/L which stands for Profit or Loss. In this example, I gained P1,800. The Floating P/L column is not yet your “real” profit or loss, it just helps you track if you are profiting or losing at that point in time. Now the recording system I showed you is just a very simple one, you can design your own but remember to have one, without it you cannot effectively track if you are making or losing money and if it is time to sell or to hold on just like any investment you make. The first 2 steps are simple mechanical steps to get started in investing in a foreign currency like the USD, however Step 3, is the most important step of them all. – Understand what you are doing first in terms of “Timing” of when to buy and when to sell. To know timing, you will need to learn how to analyze price movements in the forex market. While there are many analysis tools and models out there, pick one that suits your personality. To generalize, and provide you with an overview, there are 3 main analysis types that you can choose from. There is Market Sentiment Analysis, Fundamental Analysis, and Technical Analysis. Personally, I tried by telling myself, simple is the best and so I chose to just use 1 of them. I started with Technical analysis first, while it showed some results, doing it alone did not provide a very consistent way of timing the market. I realized very painfully that while simple is best, simple is incomplete. So, I added Fundamental analysis, and it helped but it still wasn’t “complete” then I learned how to add Market Sentiment analysis and it showed a lot of promise. And so here’s the point of step 3, in order to properly invest in Physical Foreign currencies, timing is the most important step, and to understand timing, you have to learn how to incorporate 3 analysis methods to the mix. If you are interested in learning more about this, do leave a comment below to start a meaningful conversation. I’d also appreciate a comment if you found this article helpful (or not) and lets take it from there. Pretty much interested on how to do this. Will wait for your post. Gobless us all!!! Yes, that is one of the plans. Would you be interested? Yes i am interested! Thats my planned longtime ago, How much starting capital do i need to start. If Money changing, you will need a bigger amount of capital to start with, say P500K worth, but if physical investing, a lot smaller amount will do. Its a very nice insights sir.want more articles to come. Hi Mark, very interested to learn about physical forex investing. My main question is what are the strategies trading offline and how it would differ from trading online? For one we won’t be able to use leverage since we won’t be dealing with a broker. Thus unless we have a lot of cash, the amount we can buy (lot size) will be small. I believe the spread is also much higher when buying directly from banks unlike online brokers that normally have a 3 pip spread. To earn from this, the target price must be set higher and the holding period much longer unlike the trades we do online which we close out in a few days. Finally we won’t be able to do naked shorts, so our bias is to look for trades to go long. I eagerly await your article and consider this as part of my continuing forex education. Good to know. The first of many articles to be posted very very soon. How about like a personal money changer for close relatives and friends? Want to know more about the timing. Hello Mark. I’ve been studying forex trading during my spare time for a couple months now and I am practicing online trading using a demo account. Do you have a course to offer to improve my trading skills to become a professional trader? Thank you Mark for this article.I want to learn more about investing physical cash.I will wait for your next articles. Hi Mark.If you bought usd already as investment.Can you use this uds to buy gbp(sterling) .It’s like you’re planning to just focus on usd/gbp if usd/php isnt good yet.Thanks in advance. Hi Mark. 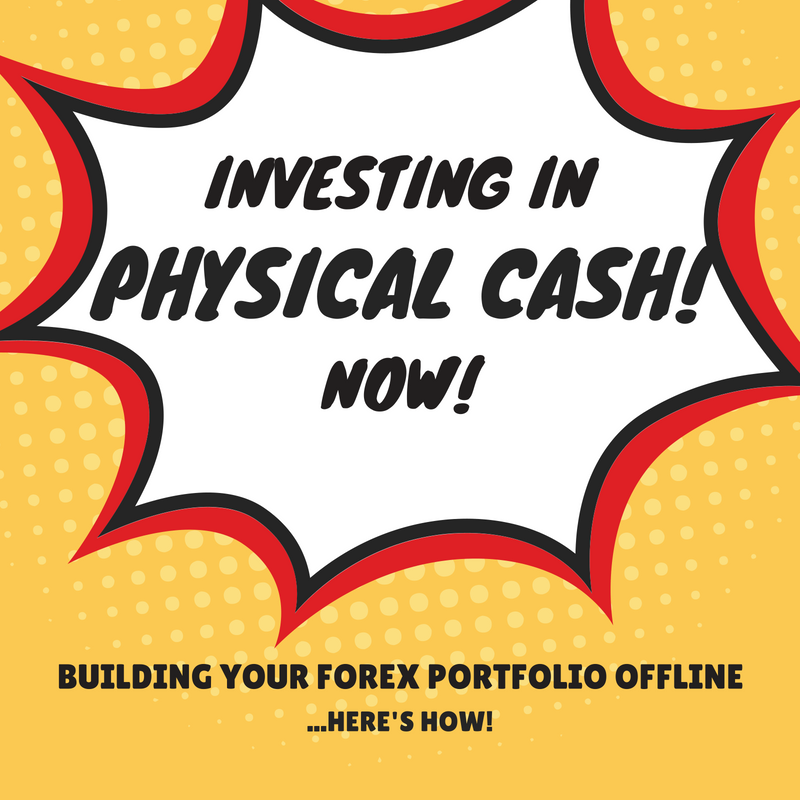 How can I go through forex online trading?You mean I can buy physical cash online? Is forex club asia an online forex broker? Hi Mark, I appreciate the valuable information you shared to me. Yes, I’m interested to learn from you in full details the procedures in conducting the market sentiment analysis, fundamental analysis and technical analysis to catch favorable trades in forex.